While the Central government is facing a lot of flak because of rising prices of pulses, it has transferred the blame on state government of Bihar. The Centre wrote six letters to the state governments, including the Bihar government to take benefit of 'Price Stabilisation Fund' to provide succour to the consumers, but the politically motivated Nitish Kumar government deliberately did not utilise it," Union Agriculture minister Radha Mohan Singh told reporters. "Andhra Pradesh, Telangana, Delhi and West Bengal which used the 'Price Stabilisation Fund', are selling pulses at Rs 120 to Rs 130 per kg through retail outlets," he said. The Price Stabilisation Fund is raised by the state to which the Centre contributes 50 per cent of the money. The Agriculture Minister accompanied by Union Food Minister Ramvilas Paswan was replying to Nitish Kumar raising accusing fingers at the Central government for price rise, particularly that of pulses. 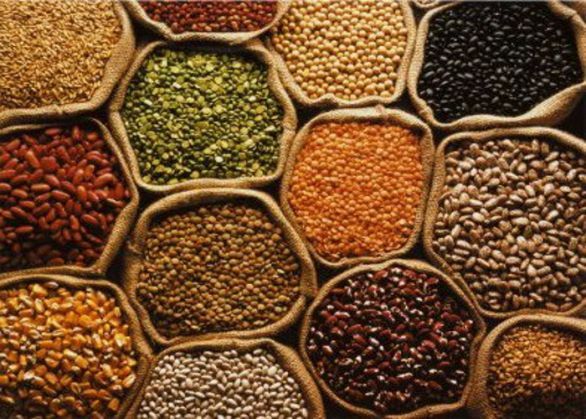 "The production of pulses saw a steady decline in Bihar since 2012-13 but it did not take appropriate measures to boost production of pulses despite assistance from the Centre," the Agriculture Minister, who also hails from Bihar, said. Chief Minister Nitish Kumar and RJD leader Lalu Prasad have been raising the issue of price rise, particularly spiralling prices of pulses to attack the Narendra Modi government in the ongoing Bihar polls. Kumar had used Modi's 'na khauanga na khane doonga' remark to hit out at him over spiraling prices of pulses. Lalu Prasad has also been frequently referring to the issue in election meetings, saying, "Pulses have vanished from the plate of the poor due to rise in prices of pulses." Paswan charged Kumar with not taking appropriate steps to contain prices of pulses with an aim to sullying the image of the Modi government during polls. "The Bihar government could have imported pulses if it had any concern for the people as there is 'zero' import duty on it. Who had stopped the State govenrment from importing pulses?" Paswan asked. "Not only this, the Bihar government did not tell the Centre about the requirement of pulses when the Centre was planning to import it," Paswan said attacking the Nitish Kumar government.